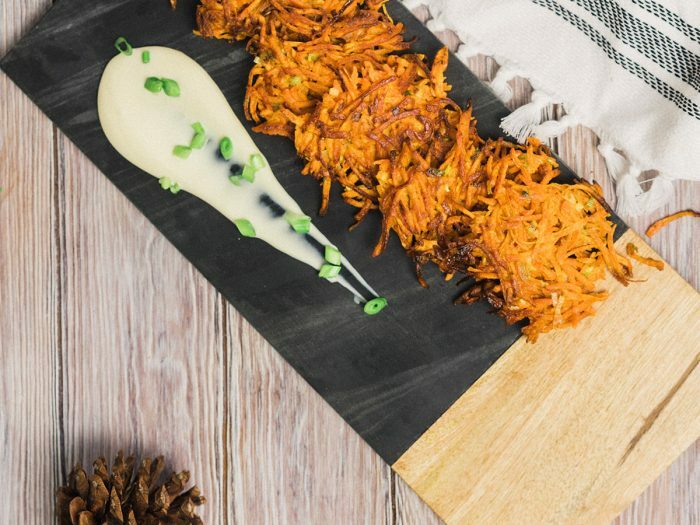 Sweet Potato Latkes with Maple Creme FraicheIf you're looking for a different way to make latkes this Hanukkah, try our sweet potato latkes with maple creme fraiche! 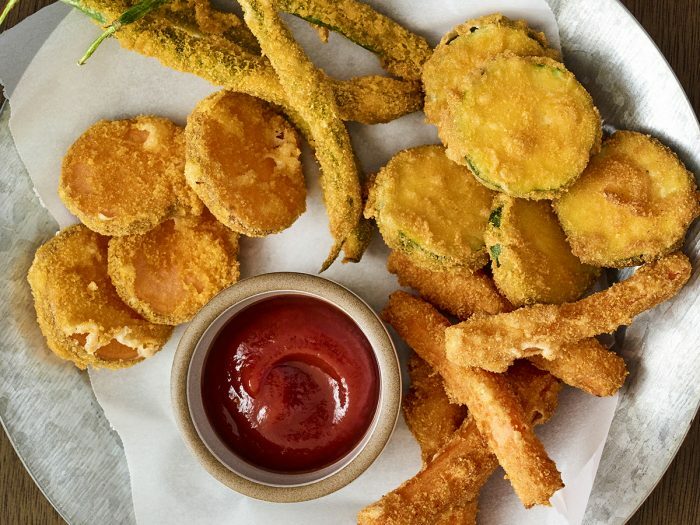 Your family will love them just as much as we loved putting together this recipe. 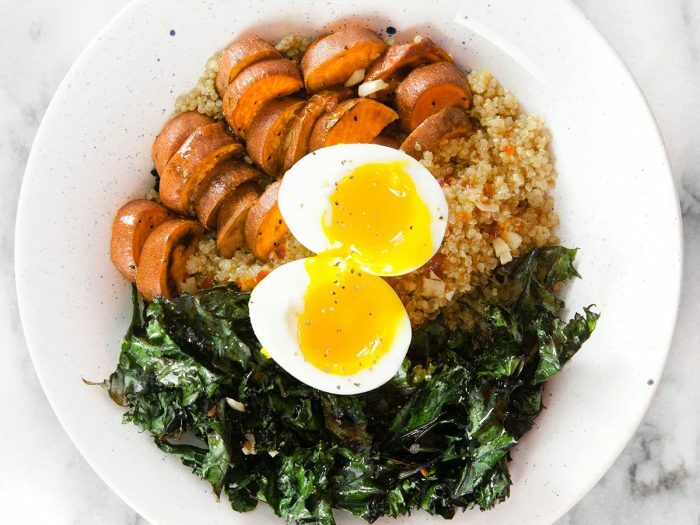 Breakfast Buddha BowlOur breakfast buddha bowl recipe is loaded with tons of healthy foods and good flavors so you'll be energized and ready to take on the day. 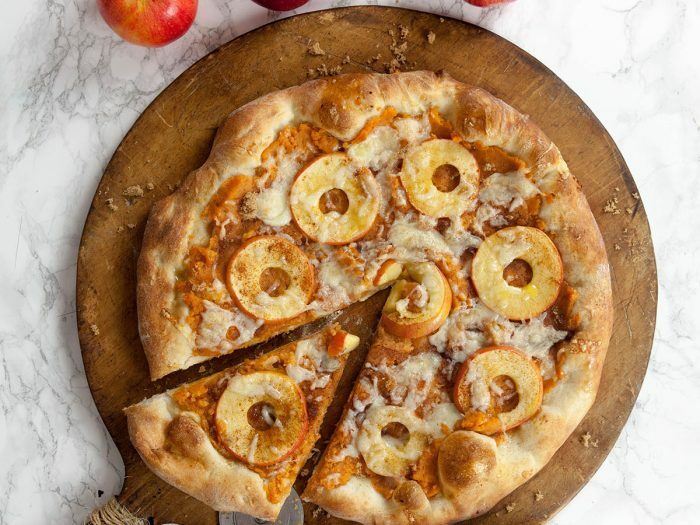 Sweet Potato Apple PizzaOur sweet potato apple pizza is not only tasty but the also the ultimate fall pizza! 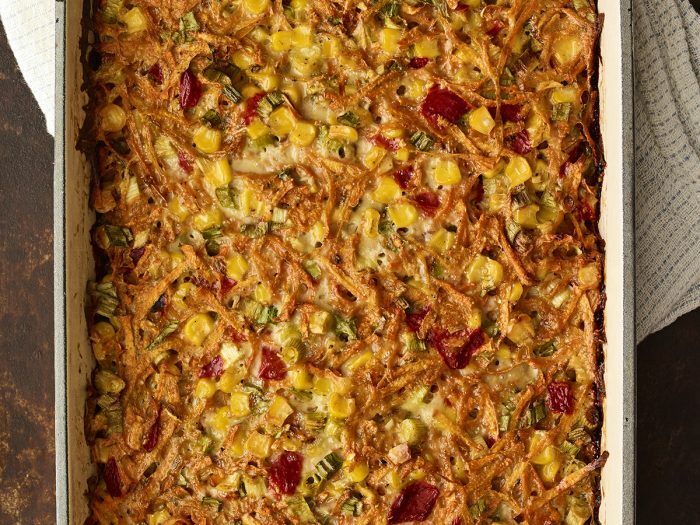 Have this for lunch, dinner, or even dessert! 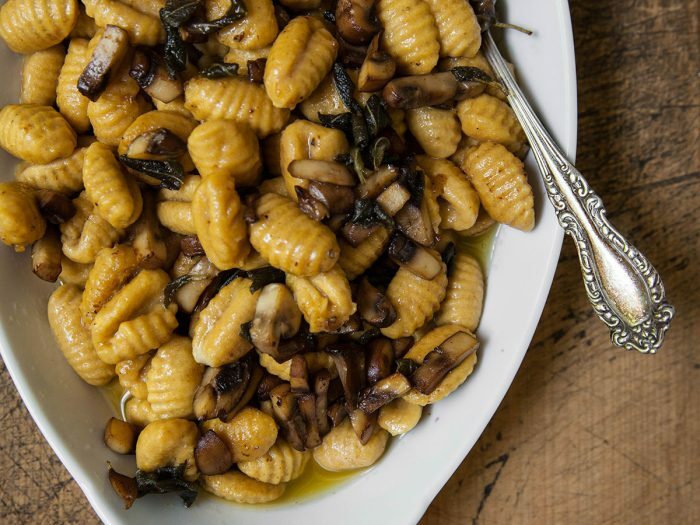 Sweet Potato GnocchiGnocchi has always been a favorite amongst Italian restaurants and home chefs. 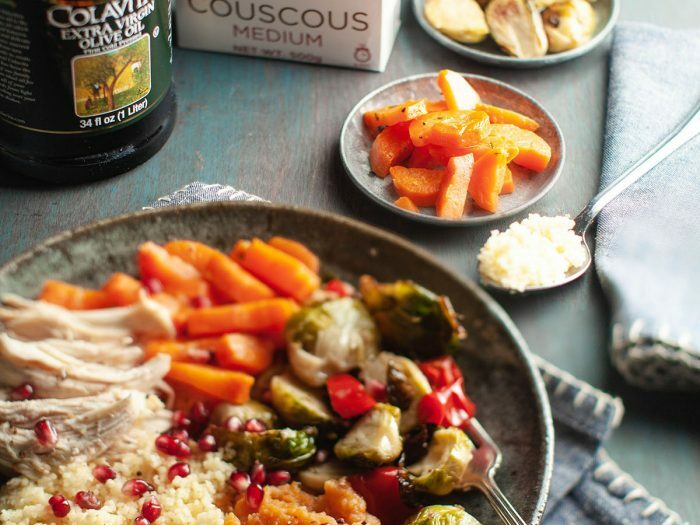 However, adding sweet potatoes gives them a perfect Autumn flair, making them a fitting addition to a festive Thanksgiving table or a regular dinner party on a cool, crisp night. 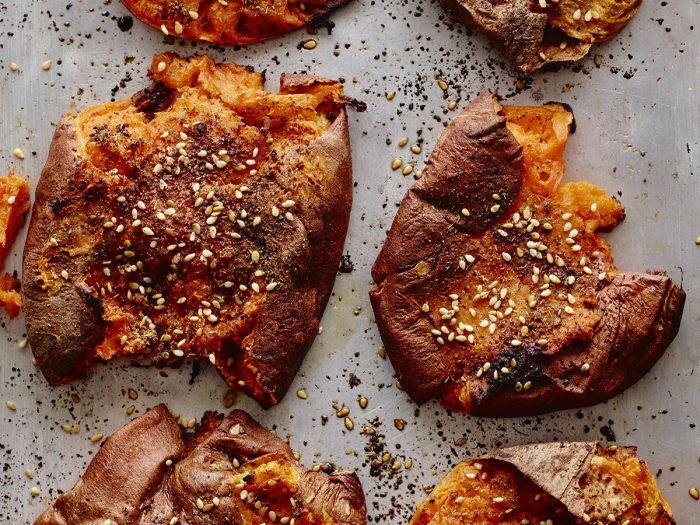 Za’atar Smashed Sweet PotatoesYou will love the texture of these za'atar smashed sweet potatoes. 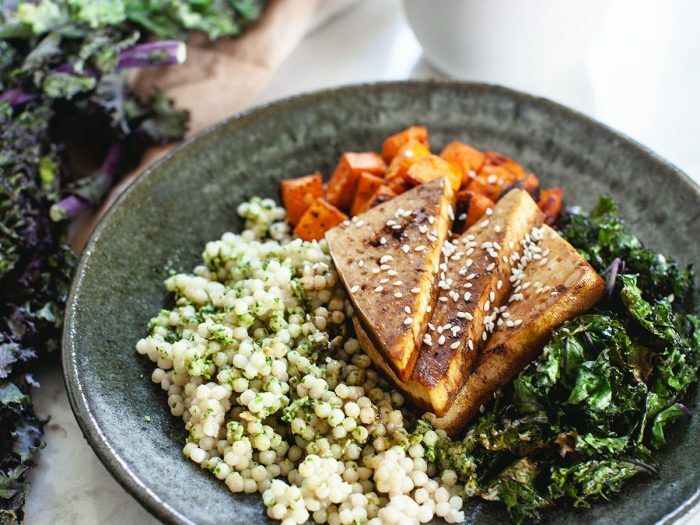 All the ingredients in za’atar are full of flavonoids, organic compounds that are important dietary sources of antioxidants. Crunchy Cereal VeggiesThis crunchy cereal veggies dish is a crunchy sweet snack that uses your favorite cereal! We recommend a cereal that uses an iconic captain as their spokesperson. 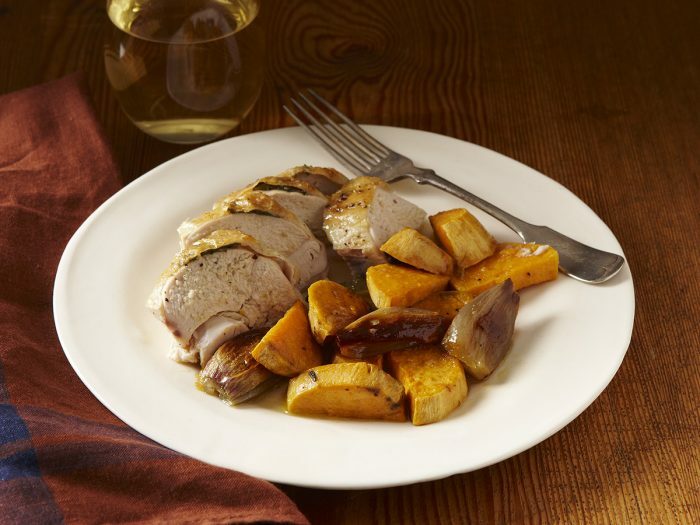 Roast Chicken with Crisp Sage and Sweet PotatoesSliding sage leaves under the skin of a roasting bird infuses both the breast meat and the crisp skin with flavor. Butterflying the bird - removing the backbone so that the bird roasts flat - cooks it quickly, here perched atop a bed of sweet potatoes. 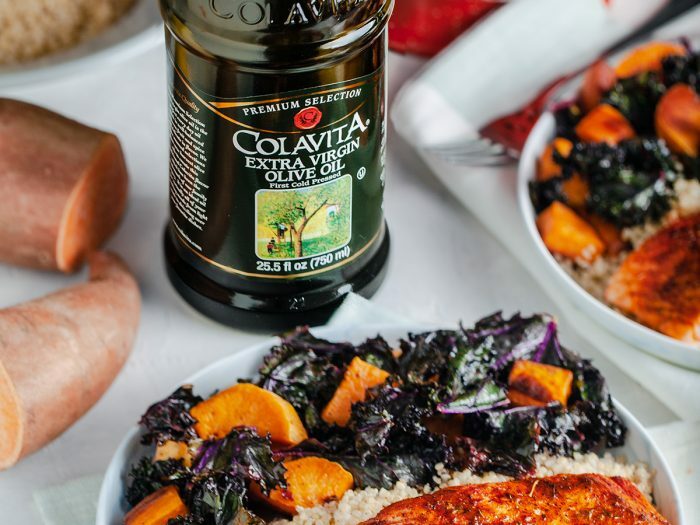 Serve this roast chicken with crisp sage and sweet potatoes with herbed farro.